When someone says “Yukon,” we totally understand if farming isn’t the first thing that comes to mind. However, you must give your head a shake and change your ways! Of course there are difficulties, but agriculture is viable up north. The growing season may not be long, but with 20-hour days there is more than enough time to for photosynthesis; depending on where you are, the soil can be excellent, or built up with a little time and effort. The farmers market in Whitehorse showed us just how bountiful the land can be, as did our visit to Elemental Farms. 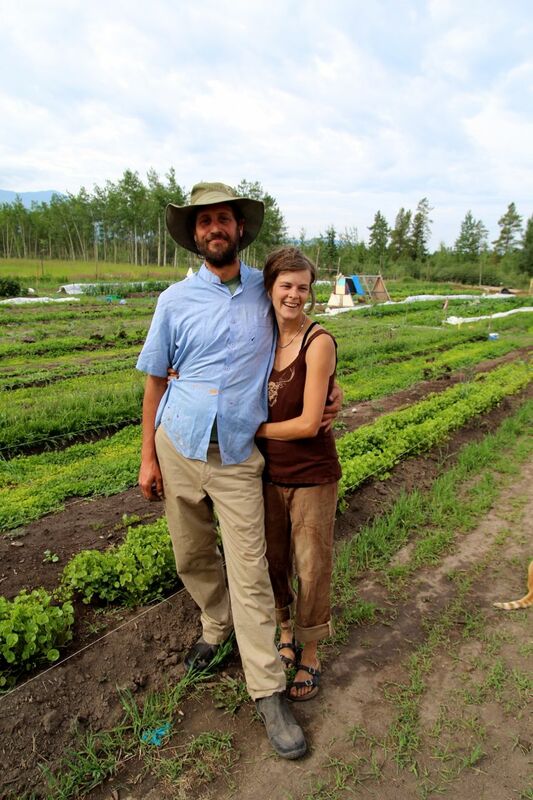 Partners Bart and Kate have been farming a rural piece of land near Whitehorse for several years, specializing in organic vegetables and salad greens. Like most small-scale organic farmers, they work incredibly hard (Kate is also a social worker in addition to running the farm) and they’re constantly innovating when it comes to their soil, climate, and produce. 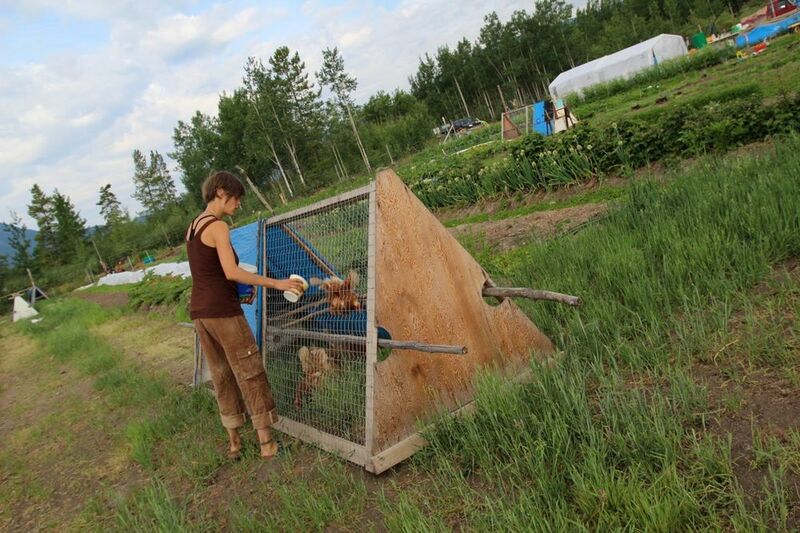 One innovative technique they use is chicken tractors, which are like small chicken coops built on old skis. They’re moved around every few days, and the chickens inside feed on the weeds and pests, keeping the soil in good shape. One breed they raise are called Freedom Rangers – they’re ideal for grazing, and very well-fed! and a 3-legged cat. He lost his leg in a fall off a ladder, survived a fight with a lynx, and an attack by two dogs that left his lungs punctured and rib cage crushed. 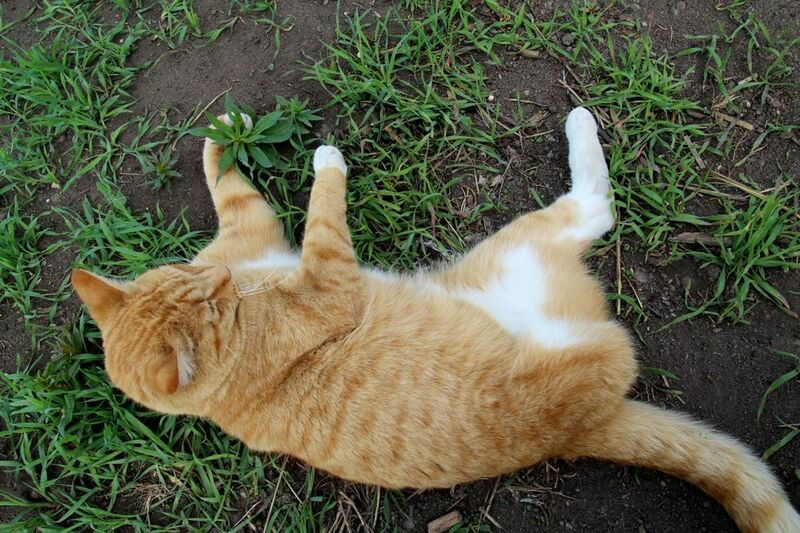 He bounds around on his three legs, and is the coolest (and toughest) cat ever. Bart has farmed all over North America and spoke of some of the difficulties of farming in the Yukon specifically; these include land being at a premium, and the trouble they sometimes have convincing consumers their products are worth the extra costs (which they certainly are – not only are they tasty, but they last up to five weeks in the fridge). 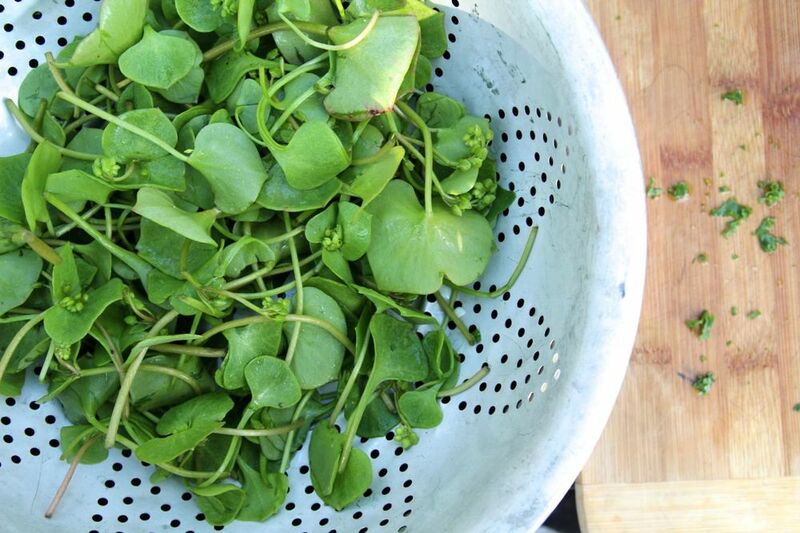 One green that was new to us was Claytonia, a pretty and hearty little plant. The leaves were thick but tender, like small lily pads, and perfect with just a little olive oil and salt. Everything Kate and Bart grow is organic, and they’re currently working towards official organic certification. This was our first glimpse of agriculture in the territories, and we impressed. We were also a little surprised, and neither of us had expected it. In the next week our minds would only continue to be blown by the work of territorial farmers, and we truly respect and admire them all. Thanks to Kate and Bart for having us! Your greens are great, and I really, really loved your cat.